You can lend your voice to wild buffalo. You care about the survival of the last herds of wild buffalo, right? Well, they need you to make your voice heard by the government decision-makers! Show your power by sending a message to the people who have the authority to make change. If you already know which agency you want contact, just click the link below. Otherwise scroll down the page and make your selections. YELLOWSTONE NATIONAL PARK ABOUT/MISSION PER BFC: Yellowstone National Park is part of the National Park Service, an agency within the U.S. Department of Interior. Yellowstone NP is supposed to be caretaker of the treasured Yellowstone buffalo, however, as a signatory to the Interagency Bison Management Plan, Yellowstone is a heavy-handed participant in the hazing, capture, slaughter, and surrendering of bison for quarantine and other research experiments. The Stephens Creek bison trap is located within Yellowstone’s north boundary. Yellowstone National Park is the lead agency on bison management on the north side of Yellowstone, in the Gardiner Basin. From the YNP/National Park Service Mission Statement: The National Park Service preserves unimpaired the natural and cultural resources and values of the National Park System for the enjoyment, education, and inspiration of this and future generations. Your Senators and Representatives hold the purse strings for Yellowstone National Park, as well as USDA Animal & Plant Health Inspection Service (APHIS) which fully funds the Montana Department of Livestock (DOL) position to enforce 81-2-120, a state law that places the DOL in charge of wild bison when they migrate into Montana. ABOUT/MISSION PER THIS AGENCY: The Commission sets fish and wildlife regulations, approves property acquisitions, and approves certain rules and activities of the Department as provided by statute. ABOUT/MISSION PER THIS AGENCY: Advises the Director of the National Park Service and the Secretary of the Interior on matters relating to the National Park Service, the National Park System, and programs administered by the National Park Service. ABOUT/MISSION PER THIS AGENCY: Advises the U.S. Secretary of Agriculture on matters of animal health and broader issues of public concern. ABOUT/MISSION PER THIS AGENCY: To control and eradicate animal diseases, prevent the transmission of animal diseases to humans, and to protect the livestock industry from theft and predatory animals. ABOUT/MISSION PER THIS AGENCY: "To preserve unimpaired the natural and cultural resources and values of the National Park System for the enjoyment, education, and inspiration of this and future generations. The National Park Service is obligated to safeguard America’s national parks, including Yellowstone National Park. The National Park Service is a bureau of the U.S. Department of the Interior and is led by a Director nominated by the President and confirmed by the U.S. Senate. ABOUT THIS AGENCY, PER BFC: The National Park Service is obligated to safeguard America’s national parks, including Yellowstone National Park. The National Park Service is a bureau of the U.S. Department of the Interior and is led by a Director nominated by the President and confirmed by the U.S. Senate. ABOUT/MISSION PER THIS AGENCY: "Protecting America's Great Outdoors and Powering Our Future." The U.S. Department of the Interior protects America's natural resources and heritage, honors our cultures and tribal communities, and supplies the energy to power our future. ABOUT/MISSION PER THIS AGENCY: Two Interagency Bison Management Plan -affiliated federal agencies fall under the U.S. Department of Agriculture: USDA-Animal & Plant Health Inspection Service (APHIS) and the U.S. Forest Service / Custer-Gallatin National Forest. ABOUT/MISSION PER USDA-APHIS: To protect the health and value of American agriculture and natural resources. ABOUT/MISSION PER BFC: A signatory to the Interagency Bison Management Plan, the Montana Department of Livestock (DOL) is no friend to wild buffalo as they represent cattle interests, and, due to state law (MCA 81-2-120), this agency is in charge of wild bison when they migrate into Montana. The DOL is also the authorizing agency of Montana’s state bison hunt (separate from treaty hunt). While the DOL is involved in all aspects of bison management in Montana, they are the lead managing agency on the west side of Yellowstone National Park, in the Hebgen Basin. Montana’s state veterinarian, Marty Zaluski, who is also serving as interim Executive Officer for the Montana Board of Livestock, has the final say in all bison-related decisions in Montana. DOL’s Mission Statement: "To control and eradicate animal diseases, prevent the transmission of animal diseases to humans, and to protect the livestock industry from theft and predatory animals." ABOUT/MISSION PER BFC: Yellowstone National Park is part of the National Park Service, an agency within the U.S. Department of Interior. Yellowstone NP is supposed to be caretaker of the treasured Yellowstone buffalo, however, as a signatory to the Interagency Bison Management Plan, Yellowstone is a heavy-handed participant in the hazing, capture, slaughter, and surrendering of bison for quarantine and other research experiments. The Stephens Creek bison trap is located within Yellowstone’s north boundary. Yellowstone National Park is the lead agency on bison management on the north side of Yellowstone, in the Gardiner Basin. ABOUT/MISSION PER THIS AGENCY: Custer-Gallatin National Forest is part of the U.S. Forest Service, an agency within the Department of Agriculture. Custer-Gallatin National Forest is a signatory to the Interagency Bison Management Plan. They are responsible for managing habitat for native wildlife, yet they have failed to include native wild bison in the Forest’s general management plan.They are also responsible for public lands grazing allotments and ensuring that the public’s use of the Forest does not compromise the natural communities, especially federally protected endangered species who live there. While they do not physically participate in the hazing and capture of wild bison, they enable and facilitate it, and provide law enforcement when bison management operations are conducted on Forest lands. CGNF/U.S. Forest Service Mission Statement: To sustain the health, diversity, and productivity of the nation’s forests and grasslands to meet the needs of present and future generations. ABOUT/MISSION PER BFC: Montana Fish, Wildlife & Parks (FWP) is responsible for the wildlife of Montana, for "sustaining our diverse fish, wildlife, and parks resources and the quality recreational opportunities, which includes hunting and fishing. FWP is a signatory to the Interagency Bison Management Plan and participates in the hazing (harassment) of wild bison in Montana, as well as manages the state bison hunt. FWP works closely with tribes who hunt bison under treaty right. Montana Fish, Wildlife & Parks Mission Statement: Through its employees and citizen commission, provides for the stewardship of the fish, wildlife, parks and recreational resources of Montana, while contributing to the quality of life for present and future generations. ABOUT/MISSION PER BFC: The Animal & Plant Health Inspection Service (APHIS) is an agency within the U.S. Department of Agriculture. They are the federal livestock overseers and serve only the interest of the livestock industry. APHIS sets and enforces federal regulations regarding the livestock disease brucellosis, with their main focus on the wild bison of Yellowstone. APHIS is a signatory to the Interagency Bison Management Plan. APHIS employees (listed above) participate in the hazing of wild buffalo, as well as various testing conducted on bison during capture operations. APHIS was a lead agency in the Yellowstone Bison Quarantine Feasibility Study, and they are the agency responsible for using wild bison stolen from Yellowstone in experiments with the chemical pesticide and sterilant, GonaCon. APHIS is notorious for conducting nefarious experiments on bison. ABOUT/MISSION PER NPFWD: The vision is to protect and enhance the natural resources of the Nez Perce Tribe, as guaranteed through the Treaty of 1855, and to ensure that the cultural heritage of our people will guide the oversight in the management of our natural resources for future generations. ABOUT/MISSION PER BFC: The Nez Perce are signatories to the Interagency Bison Management Plan. The Nez Perce conduct buffalo hunting under treaty right, yet they are the only Interagency Bison Management Plan -affiliated tribal entity to refuse slaughter agreements with Yellowstone National Park, and oppose quarantine. The Nez Perce Tribe has been the strongest voice for wild buffalo among the IBMP affiliates. ABOUT/MISSION PER BFC: The Confederated Salish & Kootenai Tribes (CSKT) are signatories to the Interagency Bison Management Plan. 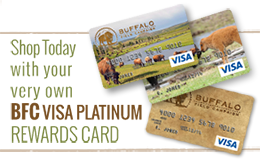 The CSKT conduct buffalo hunting under treaty right, and they also hold bison slaughter contracts with Yellowstone National Park. The CSKT have come out in support of quarantining wild Yellowstone bison. ABOUT/MISSION PER BFC ITBC: To restore bison to Indian nations in a manner that is compatible with their spiritual and cultural beliefs and practices. ABOUT/MISSION PER BFC: The ITBC is a federally chartered bison ranching corporation with fifty-six member tribes. ITBC is a signatory to the Interagency Bison Management Plan and, in contradiction of their stated mission, ITBC holds buffalo slaughter contracts with Yellowstone National Park. ITBS is a strong advocate for quarantine. Your participation in this way is highly effective for the buffalo! Please continue putting your good energy to work by following this link to learn how you can also defend the buffalo from within the political process!